The compact ILX sedan has been around for quite a while now, and although it could’ve been due for a clean-sheet redesign, Acura has given some notable improvements to the current-generation car instead. 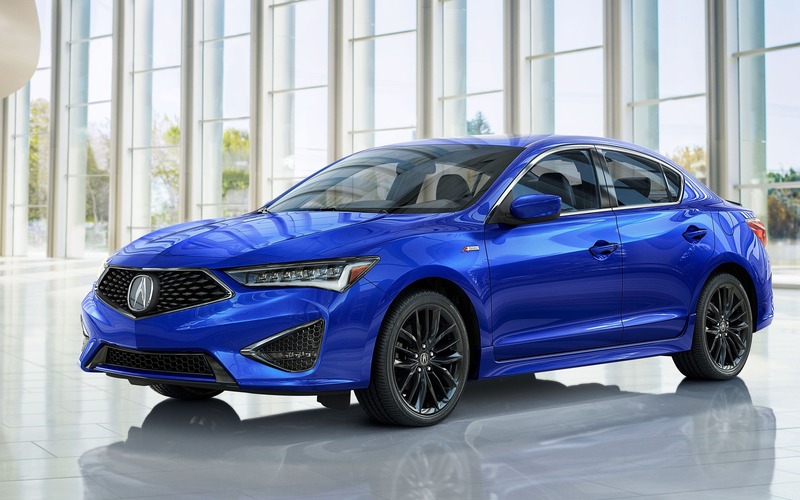 First and foremost, the 2019 Acura ILX boasts a new face that bears a family resemblance with the brand’s other models. What the company calls its Diamond Pentagon Grille is now featured on all its products, as the ILX was the last one in line to obtain it. As is the case with the TLX and RLX sedans, as well as the MDX and RDX crossovers, the ILX has a much greater visual impact, further enhanced by a sharply creased hood and LED headlights. The car’s rear end and alloy wheels have also been redesigned, and new colours are offered as well. Inside, the 2019 Acura ILX receives new front and rear seats, with contrast stitching and piping on certain trim levels. The infotainment system has quicker processing power and updated graphics, while Apple CarPlay and Android Auto integration is now available. The A-Spec trim remains on sale, which gets a more aggressive appearance with dark chrome accenting, LED fog lamps and a black decklid spoiler. It also benefits from exclusive features such as 18-inch wheels, aluminum pedals and ebony or red upholstery with Ultrasuede inserts. No changes have been made to the powertrain, which consists of a 2.4-litre four-cylinder engine, an eight-speed dual-clutch transmission and a front-wheel drivetrain. Output is rated at 201 horsepower and 180 pound-feet of torque. Pricing hasn’t yet been announced, but the 2019 Acura ILX will be on sale in October.